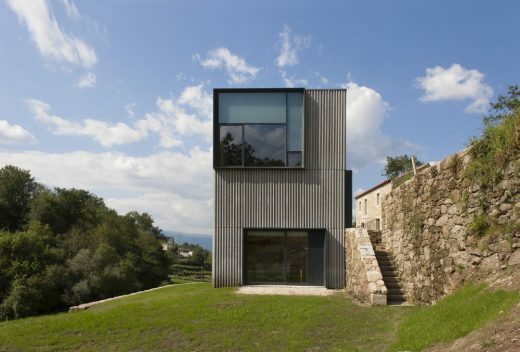 The starting point was a property with land cultivation, vines and pine forest, where there was a house in ruins. 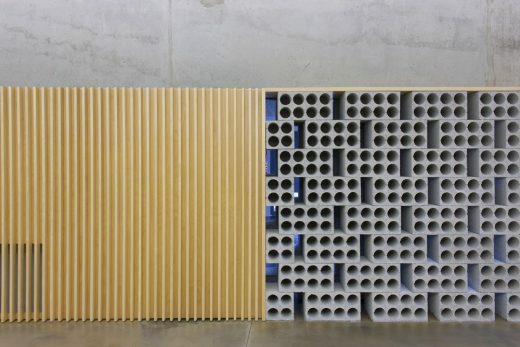 The purpose simply passes for giving a new life to a space whose essence ensures its success immediately. 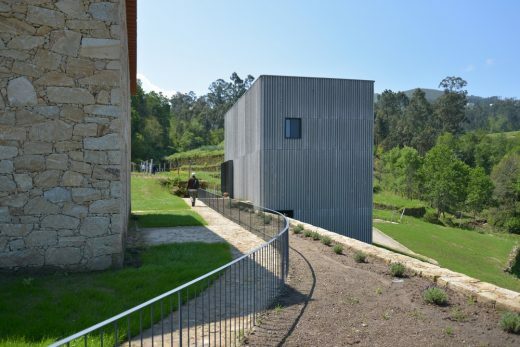 Consequently, it began the recovery and expansion of the existing assets in order to adapt it to an Agricultural tourism enterprise and also to build a didactic wine cellar with an area reserved to wine tasting and appreciation of the Alvarinho, since it is a farm devoted to viticulture. 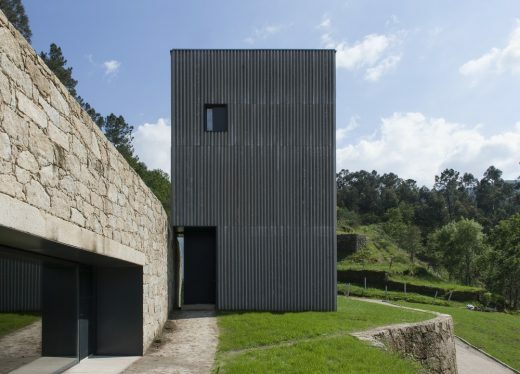 The expansion gave origin to a new volume, in dialogue with the existing one, a deployment relation in the analogue ground, leaning against the terraced wall immediately below, reproducing the volume and respecting the scale and tradition. 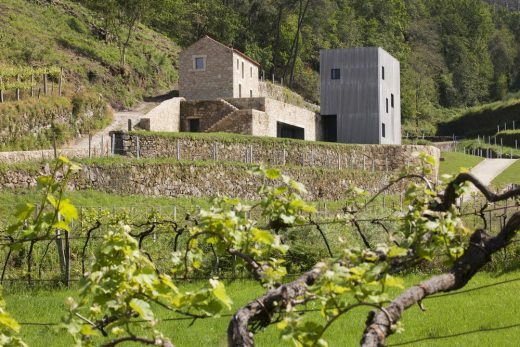 And if the recovered volume – Clérigo- House remains the granitic rock unit and the type of tile, the new volume, the House of beams, is distinguished by contemporary materiality, which enriches the dialogue and harmony of space, through a coating of prefabricated parts, reinventing the use of the vineyards beams. 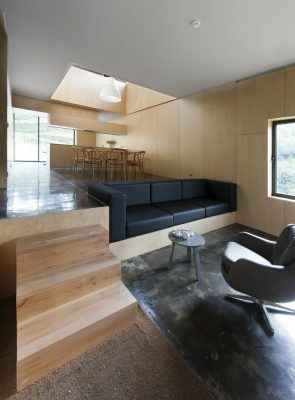 Since the interior of both houses are lined with the warmth of the wood contrasts with the austere exterior hardness of stone typically from Minho. 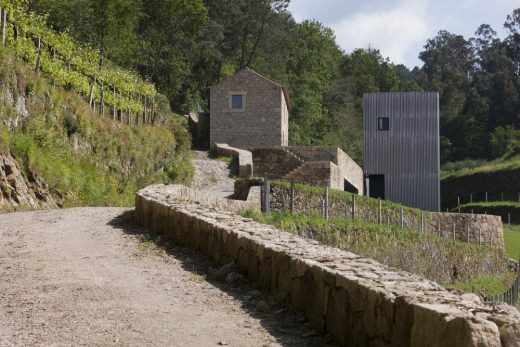 Between the two buildings it generates a green leisure area that corresponds to the vegetation of the common areas, a noticeable volume, only denounced by the great will open on the stone wall, where you can catch a glimpse of the vineyard and the existing water line. 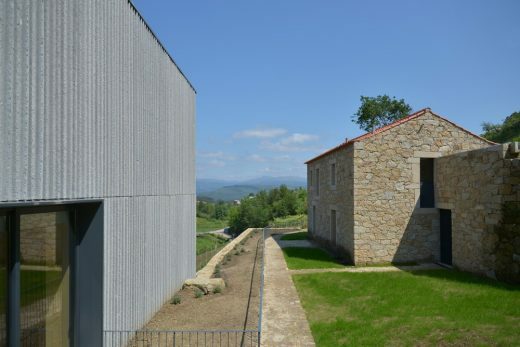 The architectural project provides consequently the guaranty of a better value from the land entry, with the vineyard and the set composed of two volumes that frame and value the existing terraces, through the appreciation and reinterpretation of the original features of this secular territory of Melgaço lands. The gates open up and the senses are completely lost in a superb picture… the reliefs of the terraces and the Alvarinho´s vineyard colour are part of the painting, refreshed by the waters of a stream flowing into Minho River, that delights the ear. 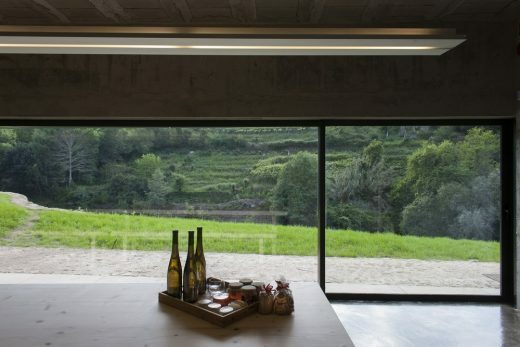 This is the music that invades our senses when we reached the farm where harmoniously fits Melgaço Alvarinho Houses. 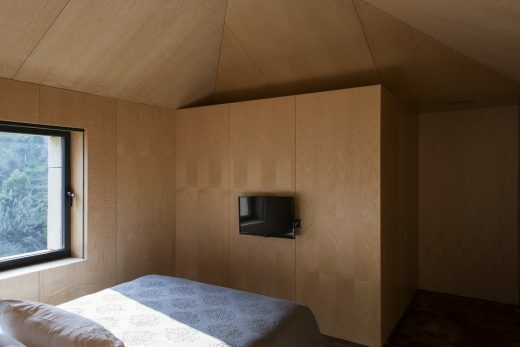 Merely 4kms from the historic Village of Melgaço and a short distance from Porto airport and Vigo, Melgaço Alvarinho Houses is the result of their owners’ dreams In its genesis is the hope of reviving an architectural heritage of more than two centuries of history. 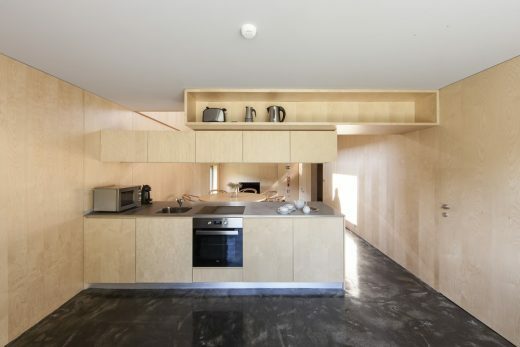 And so, reborn in 2016, pre-existing functionalised house. 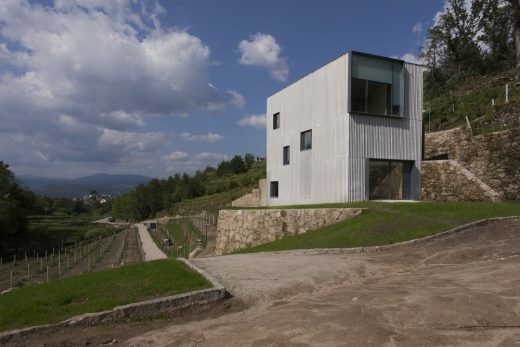 In expansion, exudes a contemporary villa and a multifaceted cultural cellar. There are plenty of recreational areas. The route on the farm provides moments of full involvement with the surroundings. 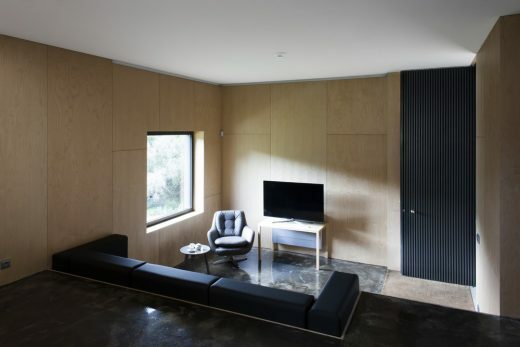 Also, part of a terraced, is a sunny pool that almost merges into the landscape of grace that gives its shelter. 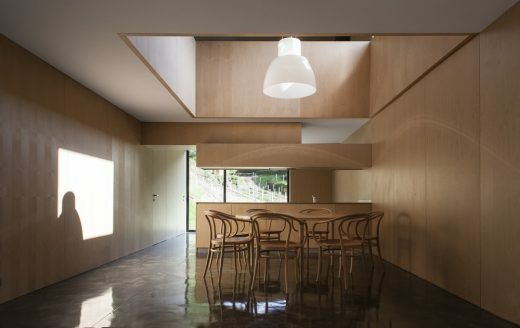 Once dedicated to wine stages and other agricultural activities of the farm, the Clérigo House, of rustic style, has a secular history. In 1861, a cleric, son of this land, received it by his parents endowment, like had happened to their ancestors. 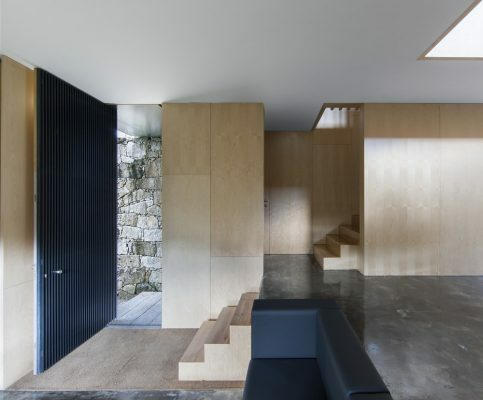 The Clérigo House has simple lines and, obviously, in typical “minho” stone, balanced with the warmth of the wood that comfortably embraces the inside, developed in two floors. The ground floor previously reserved for implements and animals, today is a social zone. 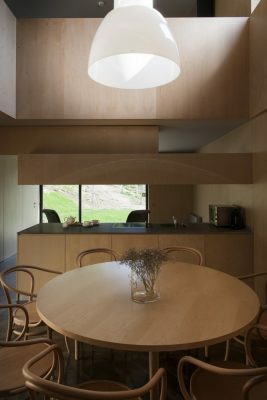 It has a kitchenette connected to the dining area and sitting area, a contiguous whole, where you simply want to live. 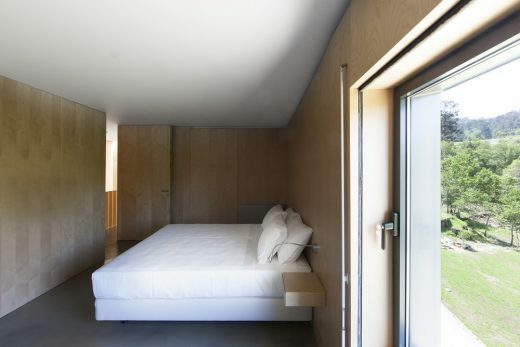 The first floor includes two comfortable rooms, which in its meekness invite you to rest, in all senses. 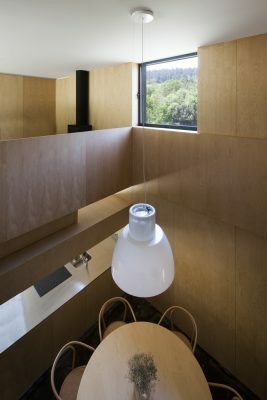 Contemporary in style, the Vigotas House, distributed over three floors, appeals to convenience and comfort. 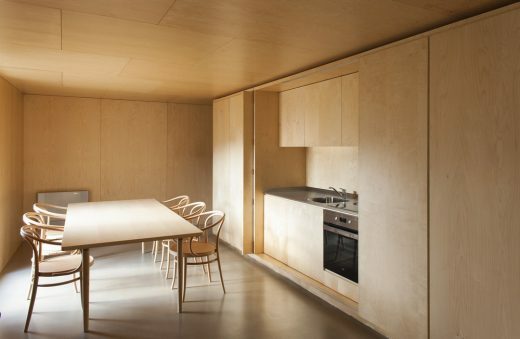 The ground floor, was designed for moments of entertainment and dining, features a fully equipped kitchen, a dining area and a living area, in a kind of open space, from where you wish never leave. 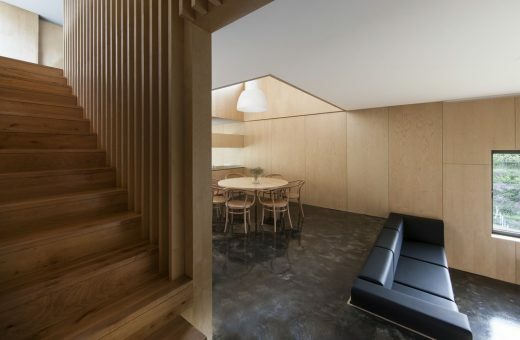 However, the stairs invite you to go upstairs and find the mezzanine where the comfort and tranquillity prevail, is also dedicated to a living area. 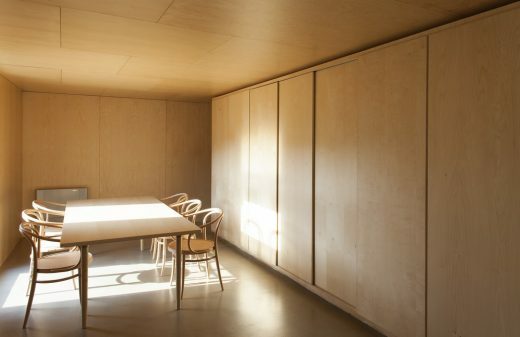 Next door is a room for profoundly relaxation. 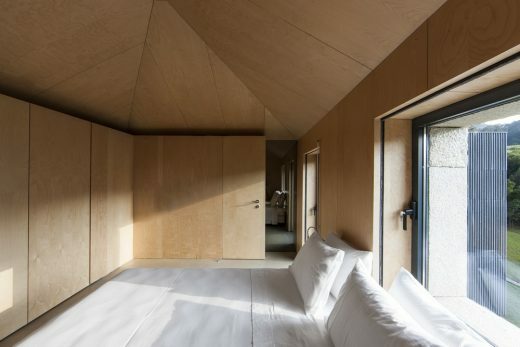 The next floor has two cosy rooms, seduce a deep rest, including an incredible sight, which get lost in the immensity secular vineyard that dominates the landscape. Place to socialize and experience not to be missed. 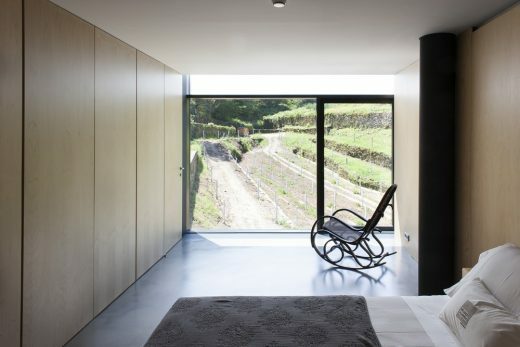 “Disguised” in a previous terraced, who once endured a vineyard, this space invites the look that gets lost in the landscape that surrounds it. 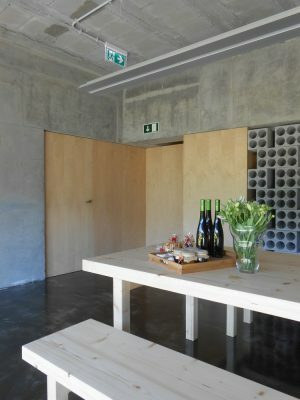 Its characteristics give it the versatility to conviviality and experiences. 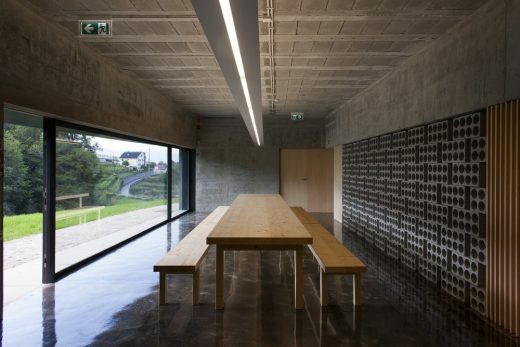 Evidence and / or Alvarinho workshops, smokehouse, from a wide variety of events, will certainly be memorable. 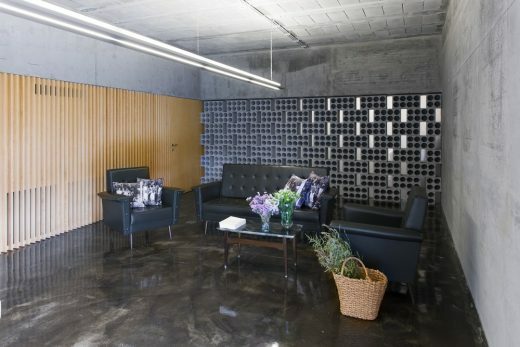 The inner connection to both houses allows a common area that can serve, quite uniquely, theirs various events during the stay.